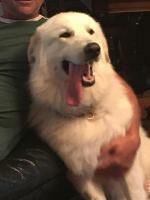 I have noticed my Pyr doesn't respond to training as other dogs have. For example, in previous breeds, teaching a dog to sit can easily be coaxed by lightly squeezing their lower back near the hip area (I was taught this by my previous trainer). I noticed my Pyr hates this. He will spin around and lightly bite me to let me know he disapproves. Is this common for the breed? As well, with past breeds when a puppy is mouthing, a slight squeeze to the snout between the fangs and back teeth to get them to release often works (again, a technique I learned by a former trainer). 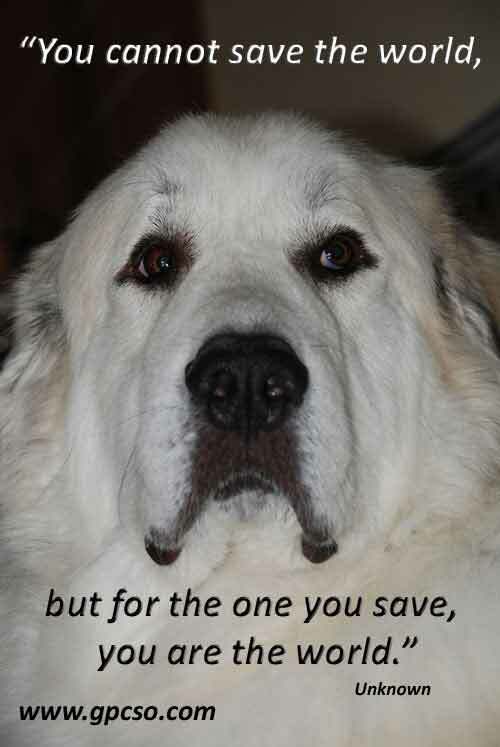 My Pyr hates that and resulted in him giving me a "hard" stare with a wrinkled nose (no growl or snarl) - enough to let me know, "don't do that to me or I'm going to take you out". Is this common for the breed? 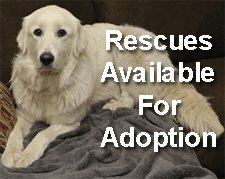 Are there other things I should know about a Pyr's training preference? For example, do they respond best to clicker training or another type of training? Your training techniques are incorrect. Never use force of any kind, especially on a Pyr. This can lead to aggression. When you are taught something, does someone force you physically to do it? I don't think you'd like it much. You need a new trainer. You need a positive-reinforcement trainer. That is, reward for good behaviour and redirect for unwanted behaviour. Find one who clicker trains and follows the training methods of Dr. Sophia Yin, Dr. Ian Dunbar or Beverly Hurst. 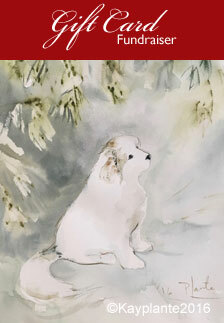 Pyrs are not easily trainable dogs. 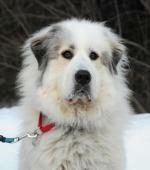 They are guardian livestock dogs and were bred to wander with their livestock. They do not need human intervention to do their jobs. Hence, you will need to convince your dog that it's worth their while to do anything you ask of them. Work with them as a partner, you are in the lead. Again, never use force. Never squeeze their mouth for mouthing. You want the dog to do things on their own accord. Let them figure out that it is not acceptable with your help. When they mouth, yelp and ignore your dog. If she continues to do it, yelp louder and leave the room and shut the door. She'll whine. Go back into the room. If she continues mouthing, continue with this. She'll connect the dots. Yes, always clicker train. You need to teach your dog to be a good canine citizen. Working with your dog, as opposed to against, is much less stressful for both of you. You will have a happier dog who trusts you, in time, and you will have a better bond with your dog when using positive-reinforcement. Look for those positive-reinforcement trainers in your area. They will come to your house, too. Never send your dog away for training. You are the one who is learning to work with your dog not a trainer. For the first months of rescuing Russell, we tried to get him to sit and stay, etc. Evidently, PYRS dont' do well with repetitive training. I thought he was just stupid. One day, he sat, he stayed down. What!!!! It's just on his terms. They are unlike any dog I have ever known. When I say sit, he sits, when I say stay he stays. Waiting will be on his terms for another day, I think. If your trainer does not have a long experience with Pyrs and with positive reinforcement training methods, I would not use his methods. 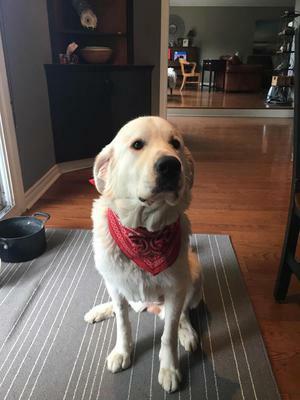 Great Pyrenees have been bred to work independently of human instruction, and therefore do not tolerate instruction well. Quick training methods using pain as a motivator such as you describe do not work with a Pyr generally. And yours has told you pretty clearly he will not tolerate this. Believe him. Has your dog been neutered? If not, this should be addressed ASAP. For many reasons. If you have no experience with clicker training you need to thoroughly learn the concept and then, with an experienced trainer, you and your dog need to work together for this to work. It all takes time, patience and consistency. You will never really change your dog's tendency to think independently. And someday you may even be very very glad for that! Work diligently towards mutual respect each for the other. Good luck! Not just and oversize golden! First you have to understand for a couple thousand year this breed has been taught to be an independent thinker. They are use to guarding there charges all alone. For many generation they have been breed to understand guarding. Many had to fend for itself as it did this job. Now I know many will say they are now more domesticated so there not this way. They couldn't be more wrong. This is something that took thousands of years and don't go away in a few generations. People seem to think poor it is now what we want it to be a pretty house pet. That being said it does not mean all good is lost. It mean you need to be pacient with them. You need to make sure you use only possative reinforcement training. Being aggressive or trying to is firm disapline will only bring out there suborn streak! 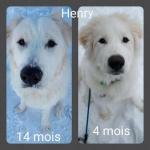 The way to a Pyrenees is not through treat as much as through his heart. They respond to love and affection like you would not believe. You are going to be surprised how much this dog seeks and responds to love. They are exstreamly sensitive guys. When you train them with a gentle hand and soft caring voice they drop that suborn streak and start to settle in.once you get that working you will find your correction with just a firm stern No or leave it will upset him and he will be despret to hear the soothing gentle loving voice. With a lot of kindness love and affection along with time I trained the most amazing service dog (balance service dog). Beau was welcome everywhere we went at the hospital I could never get out without them asking if we would stop at the children's floor so they could Love "THE POLAR BEAR" as the children called him. All the love that went into training him he gave back ten times to those kids. Beau was all Pyrenees and a total alpha dog unchallenged in the dog park! I never broke his true sperit, he was raised with love and he gave love back. Take you time and be pacient what you will be in the end will be so great you will wonder why you ever had any other breed. Feel free to contact me for more exact information if you need.Good luck with you pup there is an angel waiting to get out. 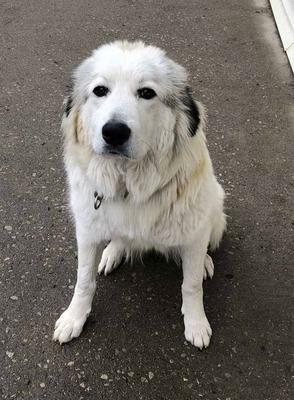 Great Pyrenees are stubborn dogs, all of them are. It requires a lot of patience and attention. Punishing them does not do them any good, but praising them does. They are independent thinkers, and you have to get them to think the way you do. Offer them treats if they do what you want, and even show them what they should do. They are one of the most hardest dogs to train-but don't blame the dog! They were bred this way to be more of a watchdog then anything, making their own decisions to what's right and wrong when around children or other.